CNG stations, across the Sindh, has been closed down due to gas shortage. According to the details, the CNG stations have been shut down for an indefinite period of time. 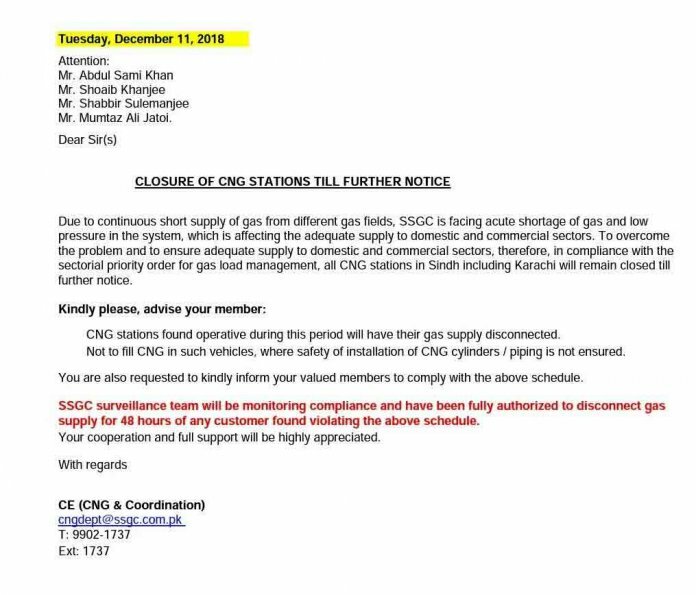 Sui Southern Gas Company Limited (SSGC), in a notice, said that due to an acute shortage of gas and low pressure in the system all CNG stations in Sindh including Karahi will remain closed until further notice. 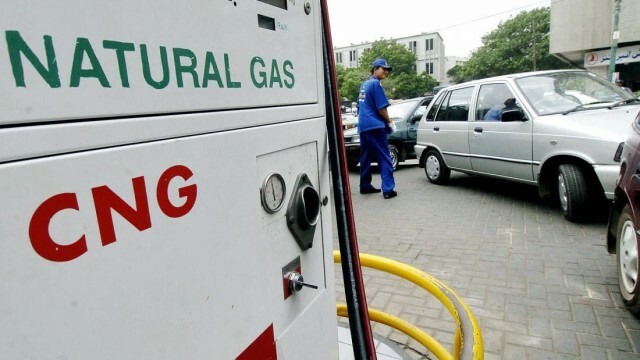 After the shutdown of CNG stations in the province, the provincial government condemned the decision and urged the Federal Government to solve the matter at its earliest. Sindh produced 70% of the gas output, nationally. Not only the Sindh Government is protesting this recent move by SSGC, but the transporters have also warned to go on strike if the matter is not resolved timely. Sindh CNG Association patron, Dr Zulfiqar Ahmed Yousfani, at a press conference, said that this suspension is a clear violation of Article 158-B of the Constitution. He also said that the Federal Government is not giving relief to the people of the country, which it promised before the elections. Earlier, the Federal Government for the month of December 2018 slashed the prices of petroleum products by up to PKR 5 giving relief to the consumers. Let’s see, what kind of measures the government will take to ensure the supply of CNG in Sindh. 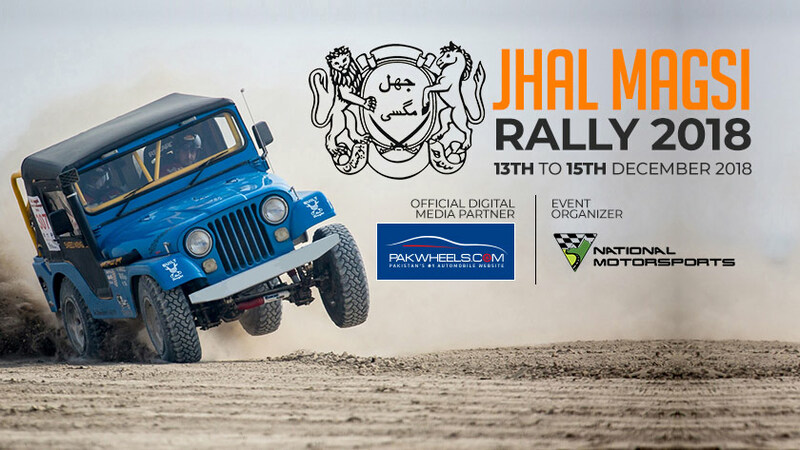 Jhal Magsi Desert Challenge 2018 - Nadir Magsi wins the qualifying round!